Our Reiki Path, What’s Next? Frequently I get requests from readers seeking more information on specific topics. I get messages like – “I want to learn more about Kundalini” or “I need help with aura scanning”. I am always pleased to see such interest in Reiki modalities and practices! A desire to learn more indicates growth and broadening our knowledge promises progress in both spiritual and technical aspects. For those interested in expanding their Reiki practices, there is no lack of resources. There exists a tremendous amount of information out there in books and on the web. Some of it is good, even excellent, but much of is not. Many people claim to be experts, and the material they present may look appealing. However, it pays to be a bit cautious. In actuality, these “experts” might have motives that are questionable, or they may just be looking to make a quick buck. Others might sincerely believe they have answers to the world’s problems, but they may be misguided, sometimes dangerously so. Access to the Internet and to groups with a common purpose can be beneficial, but take what resonates with you and leave what makes you uncomfortable. Trust your gut: the physical or vibrational feelings you get. If you are properly in tune with your body and with what spirit wants for you, you will know what you should leave on the table. Though I encourage you to explore and learn more about your interests, try not to be too rigid about the information you seek. We don’t always know what we need. We may have in mind that we want to deepen our knowledge of Kundalini, but focusing on that subject exclusively might mean we miss other opportunities that present themselves. Pay attention to synchronicities. If when searching for a specific topic, you may see something else that catches your eye. Maybe you go on to find the information you were looking for, but sometime in the next couple of days, you run across that subject again. Or you could get a different type of reminder. You might hear a song, or catch part of a conversation in passing that makes you think of it. Perhaps you even see a notice of a class being offered. These are signs, directions from your guides or spirit. It is the Universe’s way of lending a helping hand. There is no need to learn everything about a subject all at once. Sometimes a better approach is to learn slowly over time, allowing the information to integrate into our hearts and minds. This is particularly true of Reiki modalities, which are often accompanied by an attunement, and the results take time to fully process. 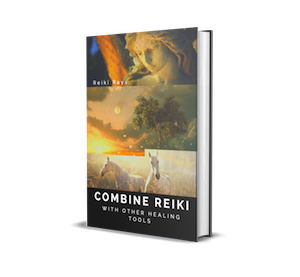 Ask your spirit or animal guides, or a trusted mentor, what you need to grow more fully into your Reiki practice and see what happens. We always want to remain open to new possibilities and learning experiences. Stay in tune with spirit by frequently getting out in nature. Practice meditation, yoga, qi gong or another modality that interests you. If these things are not already in your practice, this is the perfect opportunity to learn more about them. Trying something new may open doors for you and put you in touch with aspects of yourself you never dreamed of. The answers will come if you take care of your spiritual connection.